Among the many fascinating collections held at the Tennessee State Museum in Nashville is a portrait of one of Tennessee's most influential historic figures, Tennessee's first governor, John Sevier. 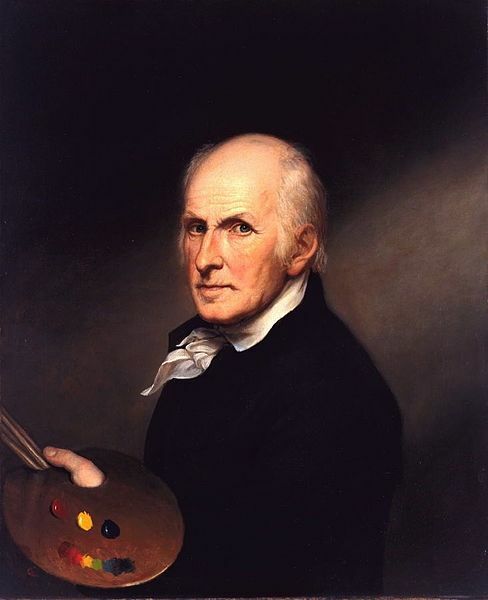 This portrait was painted by one of America's most recognized and celebrated artists, Charles Willson Peale. Portrait of John Sevier by James Willson Peale on display at the Tennessee State Museum. Peale was the foremost portrait painter of the American colonies and early republic, responsible for painting the portraits of many our country's Founding Fathers. George Washington sat for no fewer than 14 Peale portraits, and was perhaps his most famous subject. 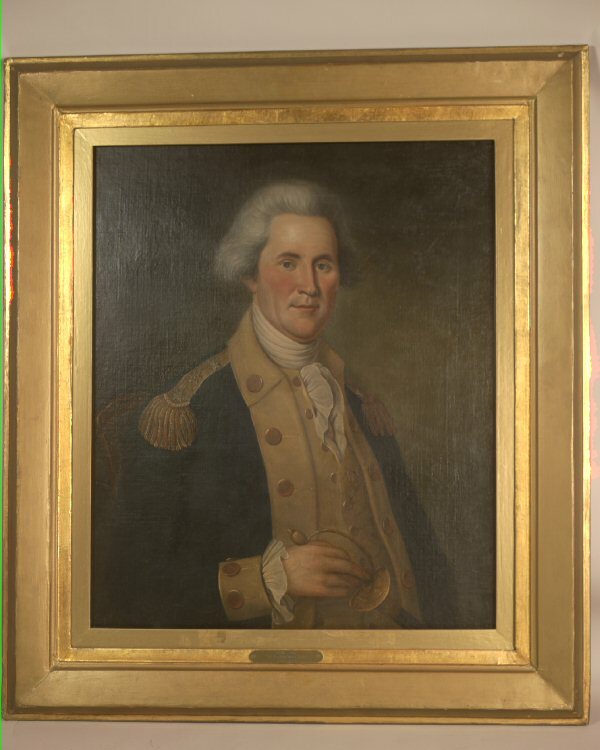 When John Sevier was a congressman in Philadelphia from 1789 to 1791, he sat for Peale for this portrait as part of an effort to document the heroes of the American Revolutionary War. As a lieutenant colonel, John Sevier played a key role in the pivotal Battle of King's Mountain, where the British and their leader, Major Patrick Ferguson, were soundly defeated by a rough band of frontiersmen from west of the Appalachian mountains. Charles Willson Peale "Self portrait"
These "Overmountain Men" of the upper Tennessee settlements were highly revered, and John Sevier was among the most celebrated of those heroes. Sevier's exploits in Tennessee's wilderness were legendary. He was well-known as an Indian fighter and land speculator before becoming the first Governor of Tennessee. Most first generation frontiersmen had little time to sit for portrait artists, but by the time John Sevier sat for Peale's portrait he had long since left the frontier way of life. He was a military war hero and a statesman, an image well-suited for Peale's documentary of the new republic, and an image that endured throughout John Sevier's political career. Of course there were no cameras in John Sevier's time to capture images of his exploits, so Charles Willson Peale's stately military portrait of John Sevier ultimately became the visual memory of his accomplishments as a Revolutionary War veteran. Today, John Sevier is remembered as "Pioneer, Soldier, Statesman" due in no small measure to the brushstrokes of America's most famous artistic biographer, Charles Willson Peale. David C. Ward, Charles Willson Peale: Art and Selfhood in the Early Republic, University of California Press, 2004. Sarah J. Purcell, Sealed with Blood: War, Sacrifice, and Memory in Revolutionary America, University of Pennsylvania Press, Phila., 2002. Charles Coleman Sellers, Charles Willson Peale Portraits and Miniatures (Phila. 1962), pp. 16-17. Ann Toplovich and F. Lynne Bachleda, "Preserving Our Stories: 150 Years of the Tennessee Historical Society," Tennessee Historical Quarterly, Volume LVIII, Number 3 (Fall 1999), 225-226. "Portrait Painting in Tennessee," Tennessee Historical Quarterly, Volume XLVI, Number 4 (Winter 1987).